It’s time for a new challenge over at AAA Cards! This fortnight’s theme is ‘inspired by nature’ and our sponsor is Happy Little Stampers shop. For my card, I used the Beautiful Branches stamp set and dies from Concord & 9th. After stamping the branch using Distress Oxide ink, I cut to blossoms from some pink and white vellum that I’ve had in my stash for many years! Once I had an arrangement I was happy with, I stuck down the flowers and added a stamped greeting and a few Nuvo drops to finish the card. 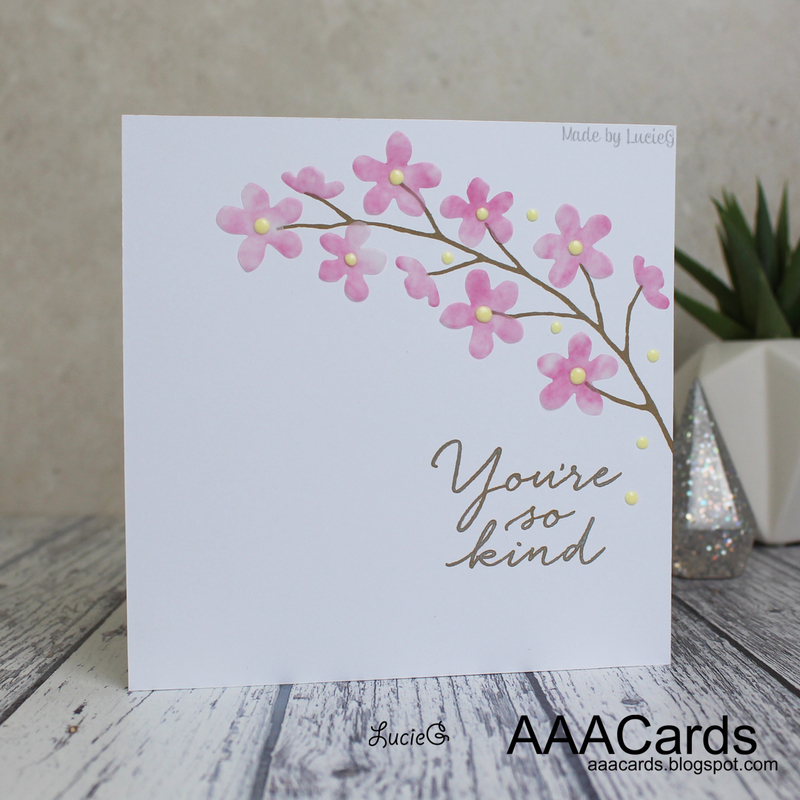 My teammates have shared some gorgeous CAS cards on the AAA Cards blog and we are also joined by Nancy from Paper Trail of Smiles and Christine from Poppaea Cards. They both have some fabulous creations – you must check out their sites if you haven’t already done so! I’m also entering this into the current Where Creativity Meets C9 challenge – floral. The vellum really captures the real life look of blossom. Such a beautifully delicate and elegant card. A very sweet and pretty spray of cherry blossoms, and what a great idea to use pink vellum for them.